Welcome back to First Impression Friday, where I ramble on about a book that I should probably have read a long time ago but am just now getting around to. This weekly series is hosted by JW Martin. This week, we’re talking about A Darker Shade of Magic by VE Schwab, and man, I am so far behind on getting into this series but man, am I glad that I finally picked this one up at Barnes & Noble. Why has it taken me so long to find this series? It’s almost four years old! I was still working at the book store when this series was released! How did I never see it? However long it took me to find it, I’m so glad that I did. I was hooked from the very first page of this novel. I spent a lot of my time reading magical realism novels for my thesis, and I would say that there are definite magical realism themes in this novel. The basic premise is that there are three Londons (where there used to be four, but Black London long ago fell to their own avarice). I will say that the description does not do the novel justice. Sure, it gives you a general overview, but I will say I didn’t expect to fall in so deep with these characters after just a few chapters. I’m expecting this to be a very high rating, so let me shut up for now and keep reading. If you’ve read it, what are your thoughts? Let me know in the comments! 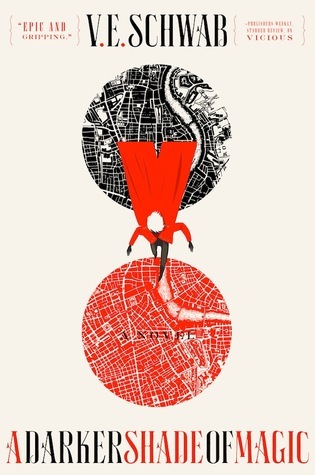 Posted on January 4, 2019 by Lauren @ BAOTBPosted in First Impression FridaysTagged a darker shade of magic, book, books, First Impression Friday, First Impression Fridays, reading, ve schwab. I had this book sitting on my bookshelf (my physical bookshelf!) for over a year. I still can’t believe I haven’t gotten to it! 2018 was the year of too many ARCs. 2019 is the year of catching up! Thanks for playing along with FIF! !